There was a little-discussed and finally mature capability that arrived with VMware ESXi 6.5, back in November of 2016. 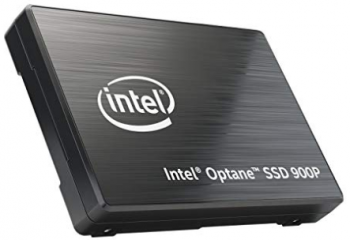 With this years ESXi 6.7 release, and last month's release of ESXi 6.7 Update 1, it's only getting easier and easier to configure your ESXi server to allow you to pass a single NVMe storage device, such as an Intel Optane P4800X or the Intel Optane SSD 900P Series, right through to one of your VMs. Nice! This has big implications for those interested in performant NAS VMs, or other special use cases including nested ESXi instances and vSAN. With NVMe passthrough, aka VMDirectPath I/O aka VT-d, each NVMe device has its very own entry on the ESXi Host Client's Hardware tab, PCI Devices area, even if you have up to 4 on a single PCIe adapter such as the Amfeltec Squid PCI Express Gen3 Carrier Board for 4 M.2 SSD modules. In my Bundle 2 Supermicro SuperServer SYS-5028D-TN4T Xeon D-1541 system, BIOS 2.0 lets me set 4x4x4x4 bifurcation of the PCIe slot, and that's where the magic begins. Don't worry, despite the fancy word that basically means it can split the signal 4 ways. It's not complicated, and I've documented where the setting is located on this server in the Recommended BIOS Settings. Since Xeon D is the full speed PCIe 3.0 x 16 lanes, each M.2 NVMe device gets its own 4 lanes. That also means that each M.2 NVMe device runs at full speed, even when all 4 M.2 devices are accessed concurrently. Each NVMe device can be assigned to one VM, or different VMs, even nested ESXi instances. 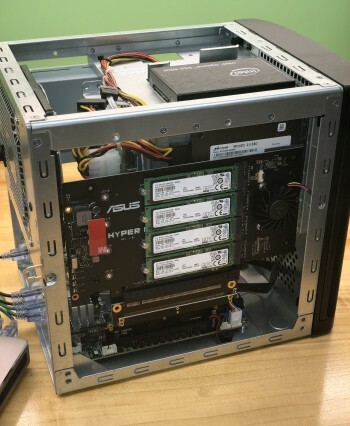 Just think of the potential here for vSAN! In this particular example that I recorded on video below, I went with just one NVMe device, the Intel Optane 900P. While I could have normally just set the BIOS to UEFI and installed Windows 10 1809 on the drive directly, then converted that same Windows install to boot from inside an EFI VM, I went the simpler route to keep the video concise. I demonstrate how you create an empty drive-less VM, then boot the blank NVMe drive inside it, installing Windows 10 1809 right on there. If you have an OS on there already, no worries. Huh? Wait, there's more! This simple Optane configuration that I've now completed, live on camera for you. 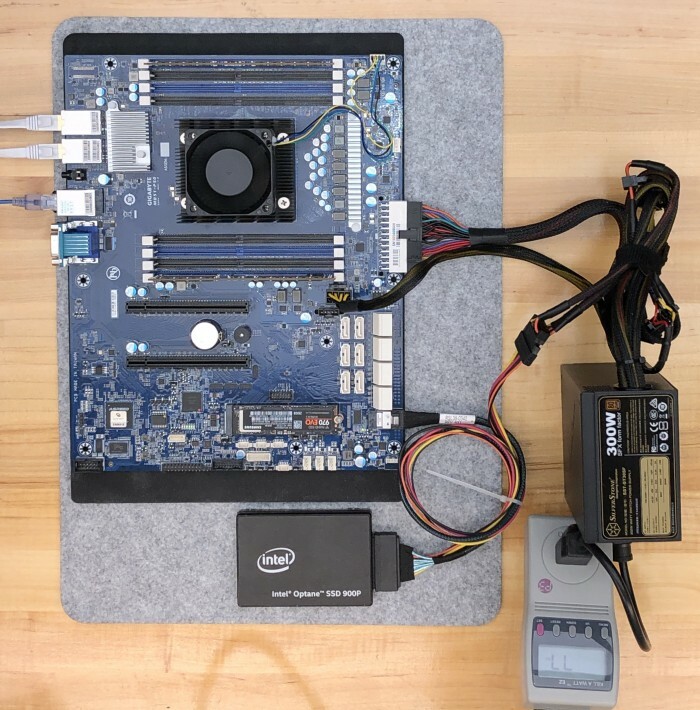 An NVMe SSD installed, such as M.2 NVMe devices like the Samsung 960 PRO or 960 EVO, or HHHL PCIe devices like the Intel Optane SSD DC P4800X Series, or U.2 devices like the 900P. This video shows the same passthrough configuration, but using the HTML5/Clarity UI of the new vSphere Client that now has 100% feature parity with the vSphere Web Client, and more. That's right, no more Adobe Flash, and much snapper to use. Nice! This SSD was purchased at retail, so I could test it in my own VMware vSphere home lab. Remember this site's tagline: TinkerTry IT @ home. Efficient virtualization, storage, backup, and more.